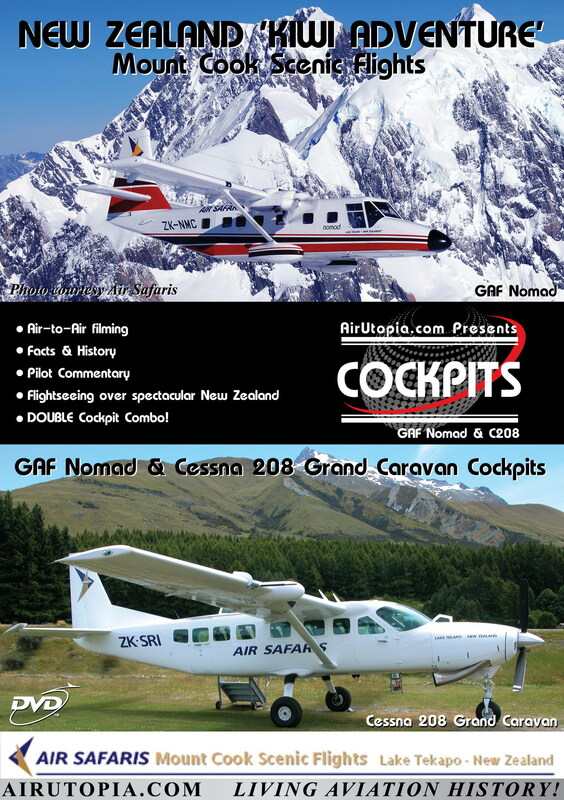 Experience a real Kiwi Adventure flying over the New Zealand Alps in a GAF Nomad and Cessna 208 Grand Caravan cockpit! 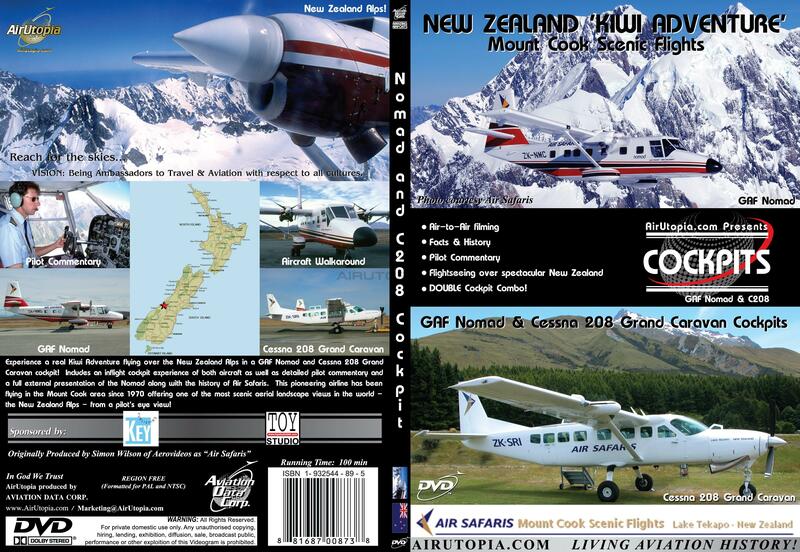 Experience a real Kiwi Adventure flying over the New Zealand Alps in a GAF Nomad and Cessna 208 Grand Caravan cockpit! Includes an in-flight cockpit experience of both aircraft as well as a detailed pilot commentary, full external presentation of the Nomad and the history of Air Safaris. This pioneering airline has been flying in the Mount Cook area since 1970 offering one of the most scenic aerial landscape views in the world - the New Zealand Alps - from a pilot's eye view!